State officials are expressing surprise at the extent of alleged abuse that took place at Connecticut's only maximum-security psychiatric hospital. Miriam Dephin-Rittmon, the commissioner of the state Department of Mental Health and Addiction Services Commissioner, told state lawmakers Monday that top officials "never had information that would suggest a pattern this significant." State police have been investigating since allegations surfaced that staff members poked and kicked a 59-year-old patient and put a dirty diaper put on his head. 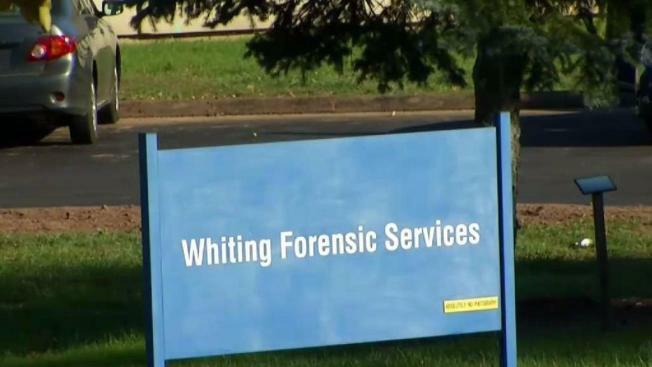 Thirty-seven employees at Whiting Forensic Division of the Connecticut Valley Hospital in Middletown have been implicated in the alleged abuse of a patient. Seven have been fired and 10 have been arrested. Dephin-Rittmon said fear and intimidation helped to cover up the alleged abuse, which she said "has sickened me and haunted me" ever since she saw the video evidence. She said her agency is "working very hard to understand how this could happen," noting it's "not reflective of our whole system." Dephin-Rittmon added that the alleged abuse was a “failure of management” and the agency has replaced most of that team. "Patient abuse is totally unacceptable. The events of the last few months have made it clear that there is much needed reform required at Whiting Forensic. Our members are working to develop reform policies in an effort to help eliminate these abuses and make Whiting a safer and more efficient facility." State Senator Heather Somers, co-chair of the public health committee, hosted the public hearing and said it is needed to combat what she calls a culture of cruelty. During the hearing she said if it wasn’t for whistleblowers, officials would not have had any idea of the abuse.